Chase Freedom Unlimited® credit card . Links to product page. Earn 3% cash back on all purchases in your first year up to $20,000 spent. Cash back on every purchase. Earn up to $600 cash back. That's 3% cash back on all purchases in your first year up to $20,000 spent. After that, earn 1.5% cash back on all purchases. 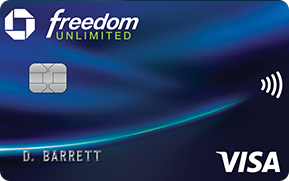 Chase Freedom® credit card . Links to product page. $150 bonus after you spend $500 on purchases in the first 3 months from account opening. Earn cash back for every purchase Earn 5% cash back on up to $1,500 in combined purchases in bonus categories each quarter you activate and unlimited 1% cash back on all other purchases. Already a Freedom® cardmember? Learn more about the quarterly 5% categories and activate here. 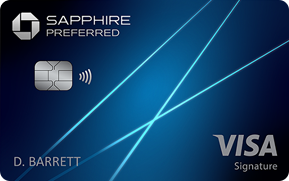 Chase Sapphire Preferred® credit card . Links to product page. 60,000 bonus points after you spend $4,000 on purchases in the first 3 months from account opening. That's $750 toward travel when redeemed through Chase Ultimate Rewards®. Premium travel & dining rewards Earn 2X points on travel and dining at restaurants. 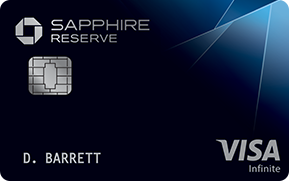 Chase Sapphire Reserve® . Links to product page. 50,000 bonus points after you spend $4,000 on purchases in the first 3 months from account opening. 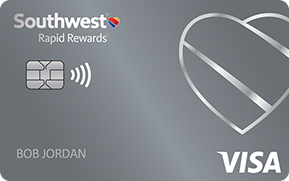 Southwest Rapid Rewards® Priority Credit Card . Links to product page. Earn 40,000 points after you spend $1,000 on purchases in the first 3 months your account is open. $75 annual Southwest® travel credit. 7,500 anniversary bonus points. Plus earn 2x points on Southwest purchases and 1x points on all other purchases. Southwest Rapid Rewards® Plus Credit Card . Links to product page. Earn reward flights with no blackout dates. 3,000 anniversary bonus points. Plus earn 2x points on Southwest® purchases and 1x points on all other purchases. Southwest Rapid Rewards® Premier Credit Card . Links to product page. Earn reward flights with no blackout dates. 6,000 anniversary bonus points. Plus earn 2x points on Southwest® purchases and 1x points on all other purchases. 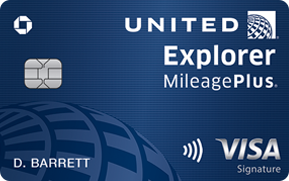 UnitedSM Explorer Card . Links to product page. Up to 60,000 Bonus Miles Earn 40,000 Bonus Miles after you spend $2,000 on purchases in the first 3 months from account opening. Plus, an additional 20,000 Bonus Miles after you spend $8,000 total on purchases in the first 6 months from account opening. Benefits include 2 miles per $1 spent on United purchases, at restaurants and on hotel stays. Plus, enjoy free first checked bag and other great United travel benefits. Terms apply. UnitedSM TravelBank Card . Links to product page. $150 in United TravelBank cash after you spend $1,000 on purchases in the first 3 months from account opening. Earn. Fly. Adventure. Earn 2% in TravelBank cash on airline tickets purchased from United® and 1.5% on all other purchases. Plus, enjoy 25% back on inflight purchases. 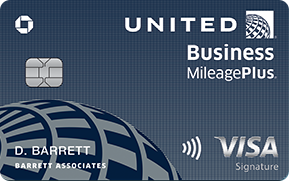 United MileagePlus® Club Card . Links to product page. Premium travel benefits. Enjoy United ClubSM membership, Premier Access® and 2 free checked bags. Plus earn rewards faster with 1.5 miles per $1 spent on purchases. Terms apply. 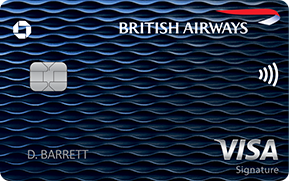 British Airways Visa Signature® card . Links to product page. After that, earn 3 Avios on purchases with British Airways, Iberia and Aer Lingus & 1 Avios on all other purchases. Redeem Avios on British Airways, American Airlines, Aer Lingus, Cathay Pacific, Iberia, Qantas, Qatar Airways and all of the other oneworld carriers. Terms apply. 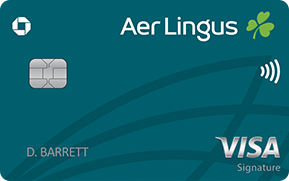 Aer Lingus Visa Signature® card . Links to product page. After that, earn 3 Avios on purchases with Aer Lingus, British Airways, and Iberia & 1 Avios on all other purchases. Redeem Avios on Aer Lingus, British Airways and Iberia. Terms apply. Iberia Visa Signature® card . Links to product page. After that, earn 3 Avios on purchases with Iberia, British Airways, and Aer Lingus & 1 Avios on all other purchases. Redeem Avios on Iberia or any oneworld alliance partners. Terms apply. 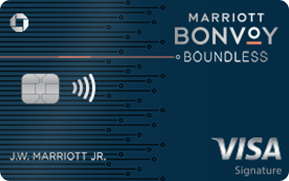 Marriott Bonvoy Boundless™ credit card . Links to product page. 100,000 Bonus points after you spend $5,000 on purchases in your first 3 months from your account opening with your Marriott Bonvoy Boundless™ credit card. Earn Unlimited Marriott Bonvoy™ points and get free stays faster. Earn points on every purchase and 6X points at Marriott Bonvoy™ hotels. The World of Hyatt Credit Card . Links to product page. Earn 25,000 Bonus Points after you spend $3,000 on purchases within the first 3 months of account opening. Plus, an additional 25,000 Bonus Points after you spend $6,000 total on purchases within the first 6 months of account opening. Turn every purchase into more free nights Earn Bonus Points on every purchase, 4 Bonus Points per $1 spent at Hyatt hotels. Plus, 1 free night every year. Disney® Premier Visa® Card . Links to product page. $250 Statement Credit after you spend $500 on purchases in the first 3 months from account opening. 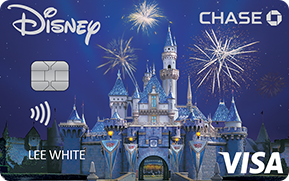 Dream bigger with the Disney Premier Visa Card. 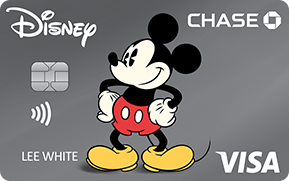 Earn 2% in Disney Rewards Dollars on select card purchases and 1% on all other card purchases. Redeem toward most anything Disney at most Disney locations and for a statement credit toward airline travel. Enjoy special vacation financing and shopping savings. Terms apply. Disney® Visa® Card . Links to product page. $100 Statement Credit after first purchase with a new Disney Visa Card. Reward yourself with the Disney Visa Card. Earn 1% in Disney Rewards Dollars on all card purchases. Redeem toward most anything Disney at most Disney locations. Enjoy special vacation financing and shopping savings. Terms apply. 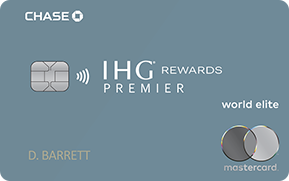 IHG® Rewards Club Premier Credit Card . Links to product page. Earn up to 120,000 bonus points Earn 80,000 bonus points after you spend $2,000 on purchases in the first 3 months from account opening. Plus earn an additional 40,000 bonus points after you spend $5,000 on purchases in the first 6 months from account opening. Earn IHG® Rewards Club points on every purchase and 10 points per $1 spent on purchases when you stay at IHG® hotels. 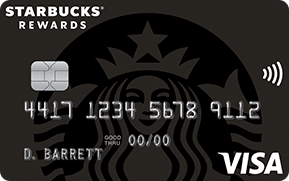 Starbucks® Rewards Visa® Card . Links to product page. 6,500 Stars after you spend $500 on purchases in the first three months. Prefer a debit card? Earn Stars in and out of Starbucks® stores with the Starbucks Rewards™ Visa® Prepaid Card. Learn more. 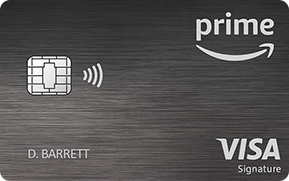 Amazon Rewards Visa Signature Card . Links to product page. $50 Amazon.com Gift Card will be instantly loaded into your Amazon.com account upon the approval of your credit card application. Get rewarded on every purchase with no annual fee† Same page link to Pricing and Terms Earn 3% Back at Amazon.com and Whole Foods Market, 2% Back at restaurants, gas stations and drugstores and 1% Back on all other purchases. AARP® Credit Card from Chase . Links to product page. $100 Bonus Cash Back after you spend $500 on purchases in the first 3 months. Earn Unlimited Cash Back rewards Earn 3 percent Cash Back rewards on restaurant and gas station purchases and 1 percent Cash Back rewards on all other purchases. Ink Business UnlimitedSM credit card . Links to product page. $500 bonus cash back after you spend $3,000 on purchases in the first 3 months after account opening. Unlimited 1.5% cash back Earn unlimited 1.5% Cash Back rewards on every purchase made for your business. Ink Business CashSM credit card . Links to product page. 5% cash back in select categories Earn Cash Back rewards on every purchase, including 5% cash back in select business categories. 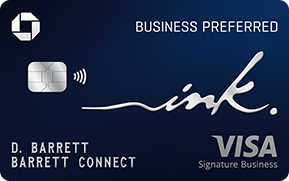 Ink Business PreferredSM credit card . Links to product page. 80,000 bonus points after you spend $5,000 on purchases in the first 3 months after account opening. That's $1,000 toward travel rewards when you redeem through Chase Ultimate Rewards®. Premium travel rewards Earn 3X points on travel and other select business categories. 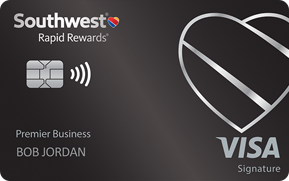 Southwest Rapid Rewards® Premier Business Credit Card . Links to product page. 60,000 bonus points after you spend $3,000 on purchases in the first 3 months your account is open. Earn reward flights with no blackout dates. Earn 2x points on Southwest® purchases and points on all other purchases. Plus 6,000 anniversary bonus points. UnitedSM Explorer Business Card . Links to product page. 50,000 bonus miles after you spend $3,000 in the first 3 months your account is open. Make business spending more rewarding. Benefits include 2 miles per $1 spent on United purchases, and on purchases at restaurants, gas stations and office supply stores. Plus, enjoy free first checked bag and other great United travel benefits. Terms apply. Read More. Opens new window containing additional reviews. Close overlay End Cardmember Reviews overlay. 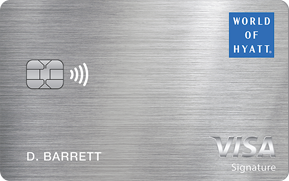 Earn rewards on your everyday purchases with one of Chase's rewards credit cards. Facebook icon links to Facebook site. Instagram icon links to Instagram site. Twitter icon links to Twitter site. YouTube icon links to YouTube site. LinkedIn icon links to LinkedIn site. Pinterest icon links to Pinterest site. Chase's website and/or mobile terms, privacy and security policies don't apply to the site or app you're about to visit. Please review its terms, privacy and security policies to see how they apply to you. Chase isn't responsible for (and doesn't provide) any products, services or content at this third-party site or app, except for products and services that explicitly carry the Chase name. Cancel. Button link closes overlay. Opens new window Proceed. Button link opens new window.